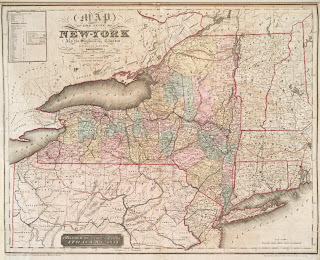 The New York Public Library has made available a number of New York State maps at their website. The collection includes David H. Burr’s atlases of 1829, 1838, 1841, along with Asher & Adams’ 1871 New Topographical Atlas and Gazetteer. There are also some 30 county level atlases, and city atlas for Albany (1876), Auburn (1882), Babylon, Islip, and Brookhaven (1888), Buffalo (1872), Elmira (1876, 1896), Oswego (1880), Saratoga and Ballston (1876), Troy, West Troy (now Watervliet) and Green Island (1869), Troy (1881), and Utica (1883). Many of these maps include individual homeowners names. The interface leaves a lot to be desired. You should make sure that you have downloaded the proprietary viewer – the only indication it’s necessary is found here. Since reading The House of Morgan: An American Banking Dynasty and the Rise of Modern Finance , the towering biography of J.P. Morgan by John Chernow, I’ve been intrigued by the legacy of the great financier and others of his ilk. Several years ago, while in NYC for a few days, I visited the Morgan Library. While not as impressive as other shrines to rich and powerful men (e.g., George Vanderbilt’s Biltmore Estate), it was certainly an enjoyable and educational field trip. 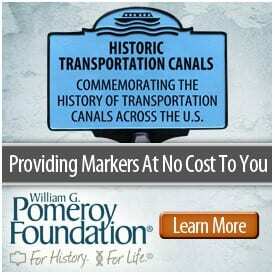 So, when I saw that Scott J. Winslow was presenting a catalog devoted to the financial giant, I thought it was worth a mention here. According to the Winslow site, the catalog traces the the course of Morgan’s prolific career, which saw presidencies from Lincoln to Theodore Roosevelt. Ironically, it was almost exactly 100 years ago when old J.P. bailed out the country by loaning millions to the banks during the financial panic of 1907. Without J.P.’s cash infusion, the U.S. might have suffered a catastrophy that might have altered the course of the 20th century. Who would we turn to today? 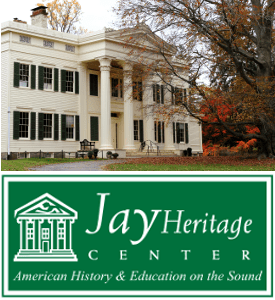 Ephemera collectors [and New York historians!] will undoubtedly appreciate this extensive catalog featuring Morgan and his many influential associates and partners, including John D. Rockefeller, Jay Cooke, Anthony Drexel, and Jay Gould. 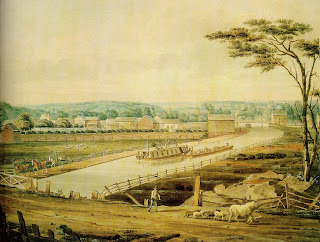 The Historical Museum located at 55 north Main Street in Canandaigua will host a reception for its latest exhibit, The Erie Canal: Where Water Flows Uphill. It will be today Saturday June 21. Stop in for a glass of wine and some friendly talk. The event begins at 7 PM and lasts until 9 PM. 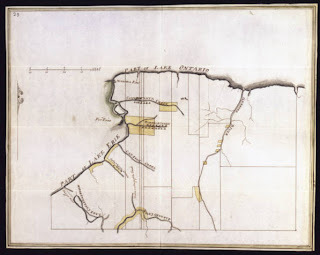 The Everett Report, officially known as the Report of the New York State Commission to Investigate the Status of the American Indian Residing in the State of New York has been made available online by the New York State Library. The Commission was chaired by Assemblyman Edward Everett (R-Potsdam). Here is a link, though the viewing system is archaic, so make sure you allow pop-ups for www.nysl.nysed.gov. 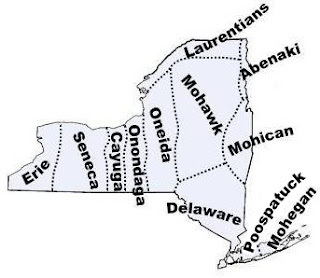 The New York State Indian Commission (1919-1922), whose purpose was to investigate the status of Indian welfare and land rights in New York State, was presented to the legislature on March 17, 1922 – and then promptly rejected. It wasn’t until 1971 that the report was finally released. In 1980, Helen Upton published The Everett Report in Historical Perspective . Lulu Stillman, a stenographer for Assemblyman Edward Everett, was credited for preserving the only remaining record of the report, from which the 1971 transcript was made. As Everett’s stenographer, Stillman retained copies of most of the material produced by or related to the commission. (Many of the original documents are either missing or unavailable.) The published report released in 1971 and Stillman’s annotated draft have both been digitized. 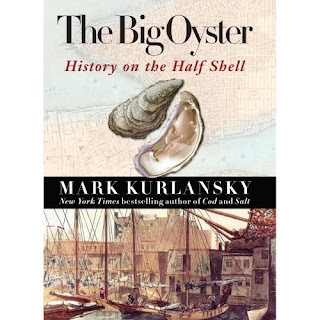 I just finished reading Mark Kurlansky’s The Big Oyster: History on the Half Shell . It’s basically a short history of New York City told through the city’s natural environment and one of its most significant natural resources (possibly second only to its natural harbor) – the oyster. I’ve also read, and can highly recommend, three of Kurlansky’s previous books. 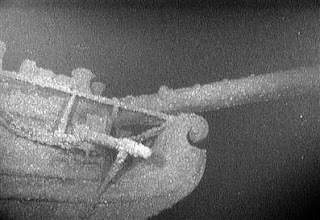 All have implications for New York History – according to esteemed Iroquoisian Dean Snow, the word Iroquois is derived from a Basque word, a demonstration of their subtle impact in our region during their search for Cod off the Grand Banks, Cod they then salted to preserve. Throughout all three books Kurlansky includes historic recipes and other culinary history. The Big Oyster is a must read for those interested in natural history, marine history, the Atlantic World, and food history as well as those with a taste for urban history and the New York City underworld of oyster cellars, cartmen, and seedy public spaces of all kinds. This program, in collaboration with NY/NJ Baykeeper and the New York Harbor School, seeks to increase stewardship among residents of the New York-New Jersey Harbor Estuary by working with volunteers from schools and community organizations in New York City to help prepare an oyster reef off the Tribeca waterfront. The project builds on the results of NY/NJ Baykeeper oyster reef restoration in New Jersey and research conducted by The River Project at its Pier 26 field station in New York. Disappearing New York City landmarks have inspired two blogs worthy of note. Both are worth a read, and can be found at our blogroll at right. If you have tips for the New York History Blog about relevant blogs, sites, events, or news, drop us a note via our e-mail address at right. Built on the site of the 1969 Woodstock Music and Art Fair, the Museum at Bethel Woods includes a 6,278 square foot exhibit gallery space, a 132-seat theater, an events gallery, a museum shop, a 1,000-seat outdoor terrace stage and more. 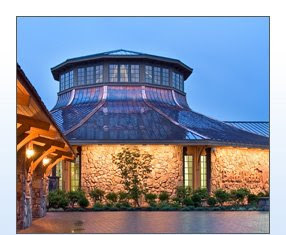 The Museum at Bethel Woods opens Monday. On display are seven high-definition monitors, 15 interactive touch-screen computers, more than 300 objects and photographs and more than 2,000 pieces of music and film, as well as photographs, included in the films and interactive exhibits. Alan Gerry, the cable television magnate who built Bethel Woods, sees the museum as he viewed a 15,000-seat concert pavilion he opened two years ago on the same property – as an economic engine to help a region of the state that was once flush with tourism. The museum’s exhibits take visitors on a journey through the music of the 1960s, explain who played the Woodstock concert, who didn’t play and why. There is an actual school bus painted in psychedelic colors and art, with a film about cross-country journeys to the Woodstock concert projected onto the windshield. And there is a Volkswagen Bug. On the web you can check out the Woodstock Project, an attempt at a complete Woodstock Discography. 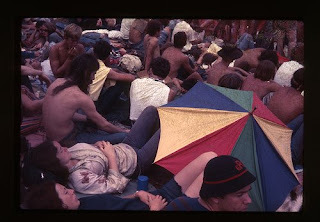 You can also take a look at someone’s photos of the original Woodstock here.